The old adage, “When it rains, it pours,” often applies more to life experiences than the weather. In our area, it’s both. Rain has almost become one of the forbidden “four-letter-words.” Normally we are praying for rain this time of year to finish filling out the corn kernels and soybean pods. Rarely, though, does rain fall in the exact amount that the soil can handle. Tillage methods and terracing can help, but don’t stop all the water flow. So what happens to the extra rain? On our farm we control water flow with narrow based terraces and two ponds. Our west pond is a freshwater pond that pond keeps water from entering the feedlot. We’ve made the fresh water pond a benefit to man and nature by stocking it with fish, building a dock, a bridge and an island, planting trees and creating a space to BBQ. didn’t stop family members from enjoying time to fish. Our east pond is a holding pond for our feedlot. The pond is about six acres in size which is close to the size of six football fields. That pond was built with a clay liner to prevent any leakage. We inspect the pond to make sure no trees or shrubs are growing along the sides. We have monitoring wells above and below the pond that are tested twice a year for nutrient levels to make sure we are protecting the quality of water to the best of our ability. falls on our farm and water that runs into our farm from the north and west. The Environmental Protection Agency (EPA) and the Nebraska Department of Environmental Quality (DEQ) issue regulations for us to follow. Thorough records have to be kept that include daily rainfall and how we use the water in the holding pond. We have consultants that keep up with regulation changes and help us manage the nutrients in the pond for use on crop ground as fertilizer. It is often a challenge for farmers to make sure that common sense prevails in the development of these regulations, as regulations made with good intentions don’t always turn out to be so. Many farmers do not end up holding the EPA in positive regard. Farmers are often held to standards that municipalities as recently seen in Baltimore. I will share some of our experience with regulations to give you a better understanding of the farmer perspective. 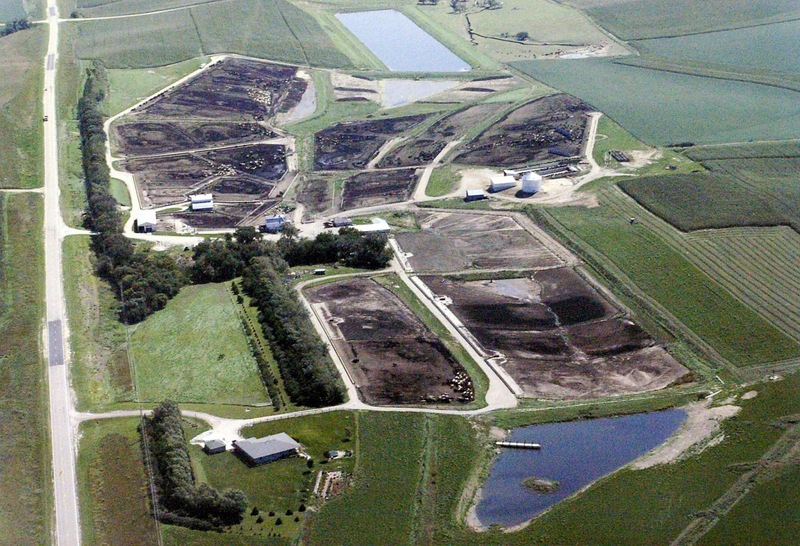 In the early 1990’s we built a sediment basin to keep soil and manure from leaving our farm. A large perforated thick plastic tube allowed water to slowly trickle out, leaving us the sediment to use on crop ground. The regulations about holding all the water were going through continual changes and by the early 2000’s they were getting closer to being finalized. We hired a consultant to help us design of what we would need to hold our water and trusted that the design had been completed and submitted to the Nebraska DEQ by the deadline. A few days before Christmas that same year we received two letters. The first letter was to let us know of attorney help if needed. The second letter was from the EPA telling us we had an illegal discharge and were being fined. Our hearts were not as joy-filled as they normally are for Christmas knowing we had quite a situation on our hands. We slowly learned what exactly had gone wrong. The design was submitted without the stamp of an engineer, was sent to an engineer for that stamp and was lost on the desk of the engineer. A deadline was missed and we were considered the responsible party. Hard to believe, since we thought we had done everything we were supposed to. One comparison would be that of hiring an accountant to do your taxes. Let’s say you turned everything in, signed what needed to be signed, paid your bill and then received a notice from the IRS saying your tax return was never filed and you owed a huge fine because of it. 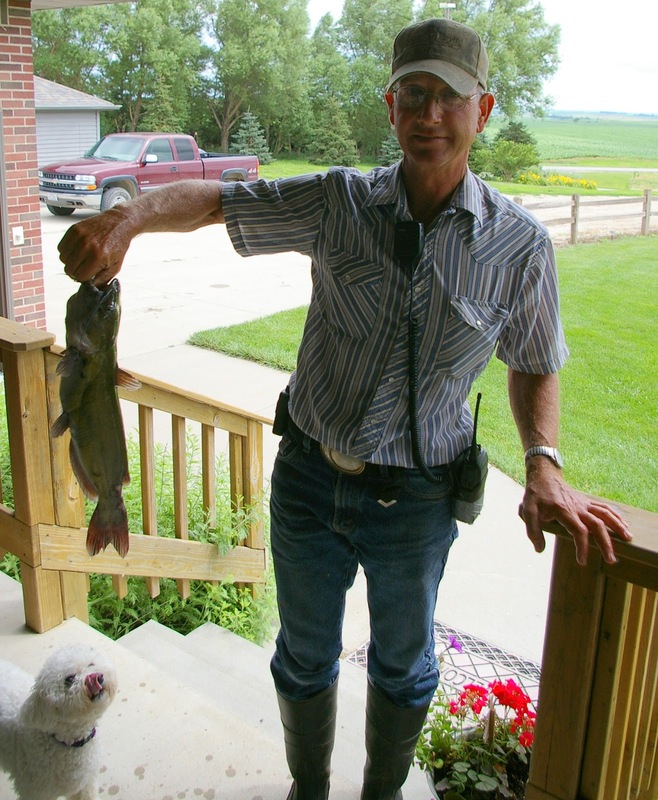 Our discussions with the Nebraska Department of Environmental Quality (NDEQ) and Region 7 Environmental Protection Agency (EPA) allowed us to meet people with and without an understanding of agriculture. We were told we needed to immediately stop the flow of water from the sediment basin, so my husband and an employee wrapped the tube with thick black plastic. It was winter so they were able to work on the mostly frozen sediment to get that plastic around the tube and down as low as they could. As spring came with rains the sediment basin started to fill up with water. During the last week of June something happened to the plastic causing it to allow water to leave the sediment basin. Calls were made to the NDEQ and the EPA. Engineers came out with their suggestions and a variety of ideas were tried. Eventually, my husband had to crawl out above the water on 2 x 4’s bolted together to drop sandbags down the middle of the tube and the outside of the tube to stop the water. The danger he put himself in was at that time irrelevant to those telling us we needed to stop the flow of water. inches added/inch of rainfall. If the ground is dry in the fields that will ratio will drop due to less runoff entering our farm. We will remove the sediment when it dries and apply it to area crop ground. 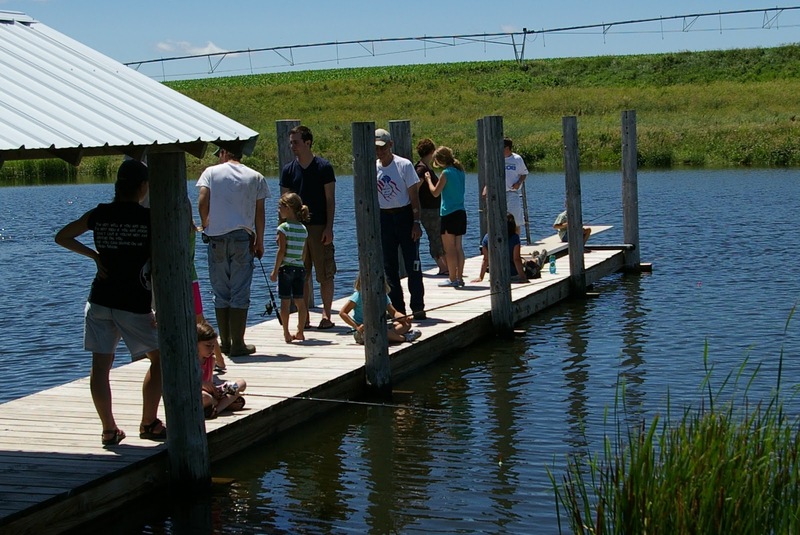 The holding pond was built later in the summer with as much regard to public notice, zoning laws and regulations as we knew of and what we trusted our paid consultant to make sure was done correctly. In the end we did have to pay a fine and were asked to share our story with the Region 7 EPA employees. The EPA paid our expenses to make a trip to Kansas City for that presentation. Ironically, months later while still waiting for reimbursement we learned that the check issued for our expenses had gotten lost on someone’s desk at the EPA. It is important to us that we do what is right for the environment and our neighbors. We are able to protect the rivers and streams from receiving any unwanted nutrients. We are able to control water and sediment from wreaking havoc on fields and homes downstream. 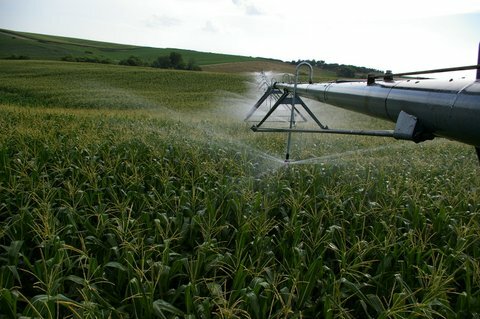 We strive to be responsible stewards and considerate neighbors by minimizing the smell of the pond and working with consultants to apply the nutrients to our crops using best management practices. We rely on our consulting service to give us that extra layer of expertise to make sure we are complying with changing regulations. day before, day of and day after we apply as well as the wind speed and direction. Normally we have our holding pond at three- to five-foot levels this time of year. We have used the pond for irrigating corn throughout the summer and came very close to a five feet level about three weeks ago. Since then we have had small rains and two large rain events that have added at least five feet to our holding pond. We are obligated by regulation to have our pond under five feet by winter and that is not going to be an easy task. When it rains my husband gets uneasy now. The forecast for a quarter inch has often been turned into three to six inches and even nine inches in nearby areas. Sometimes when it rains, it pours! Do you think we are ready for a dry spell? Ouch, a dry spell is not something any farmer dares to pray for as it often leads to prayers for more rain! in the pond while our dog hopes he will drop it right in her mouth! It would be insensitive of me not to acknowledge the suffering many people go through each year due to flooding from storms. Nothing compares to the loss of life and property people have endured over the centuries due to acts of nature. Even with the weather forecast capabilities we have now we know the amount of rainfall in any given storm can vary greatly. Our thoughts and prayers go out to those suffering from the recent flooding in Louisiana and those going through Hurricane Matthew.